Two days in the Caribbean lowlands and foothills, where we explored Braulio Carrillo National Park and La Selva Biological Station. Lodging at Hacienda Sueno Azul. 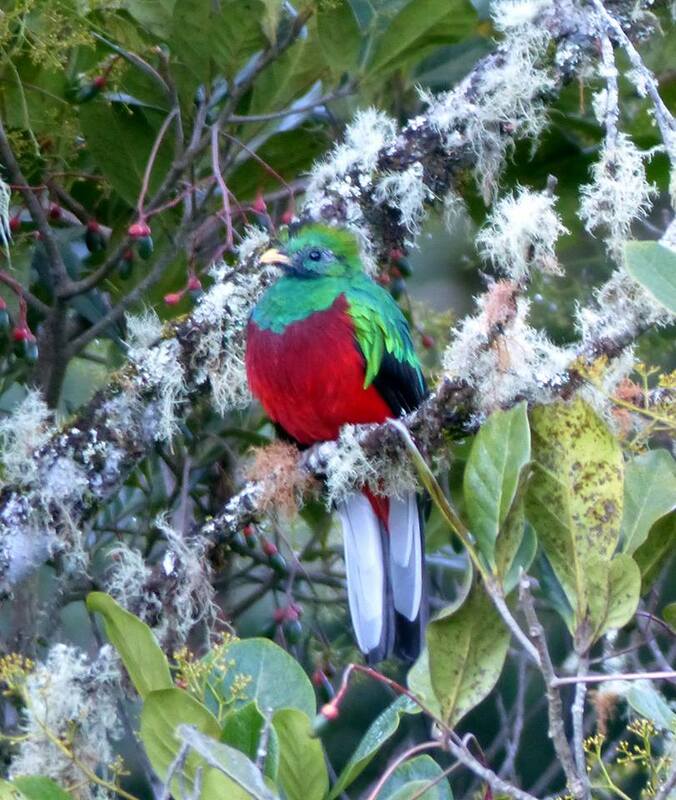 Two days in the Talamanca Mountains, where we birded cloud forest in and around the Savegre Valley as well as paramo habitat at Cerra de la Muerte. Lodging at Hotel Savegre. Two days on the Pacific coast, where we visited Carara National Park and enjoyed an afternoon boat ride on the Rio Tarcoles. Lodging at Hotel Villa Lapas. 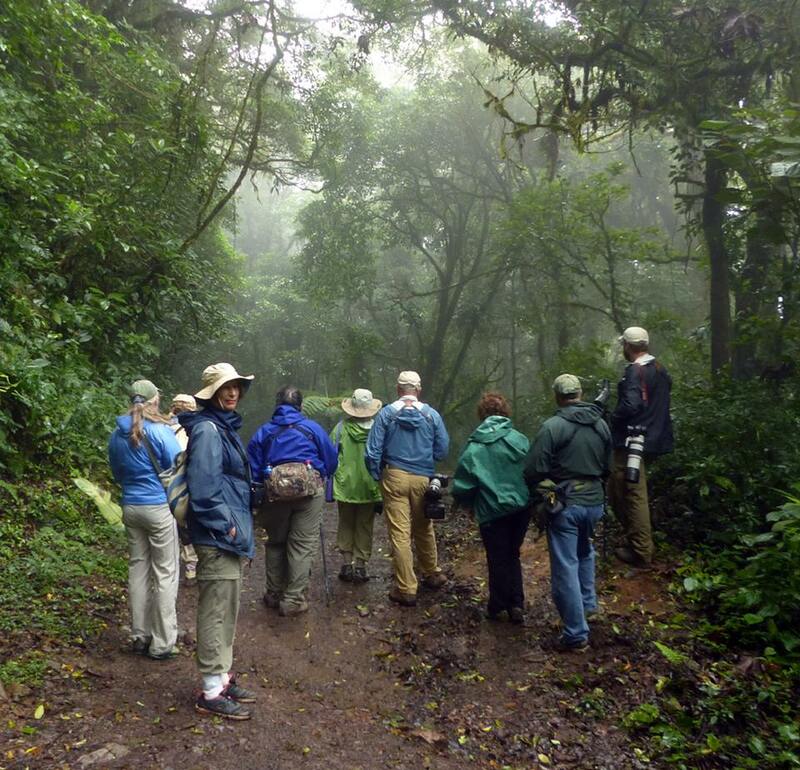 Two days in Monteverde, where we explored the town’s renowned cloud forest reserve and other privately owned protected areas. Lodging at Cala Lodge. After arriving in San Jose, meeting Andrew Spencer, our Tropical Birding guide, and checking into Hotel Robledal, some of us birded around the hotel grounds. White-winged Dove, Cinnamon Hummingbird, Hoffmann’s Woodpecker, Great Kiskadee, Tropical Kingbird, Clay-colored Thrush, Rufous-naped Wren and Great-tailed Grackles were among the species we found. Later in the afternoon, the group was taken to an undeveloped property owned by the hotel, which we dubbed “Finca Robledal.” Several Crested Bobwhites were flushed from their grassy hiding places soon after we arrived; this was our only sighting of this species during the tour. Other birds encountered during our walk included Black-bellied Whistling-Duck, Gray Hawk, Northern Jacana, Red-billed Pigeon, Inca Dove, Groove-billed Ani, White-fronted Parrot, Crimson-fronted Parakeet, Yellow-bellied Elaenia, Boat-billed Flycatcher, Lesser Greenlet, Blue-and-white and Southern Rough-winged Swallow, Gray-breasted Martin, Rufous-and-white Wren, Gray-crowned Yellowthroat, Blue-gray Tanager, Blue-black Grassquit, Stripe-headed Sparrow, Blue Grosbeak, Eastern Meadowlark and Bronzed Cowbird. 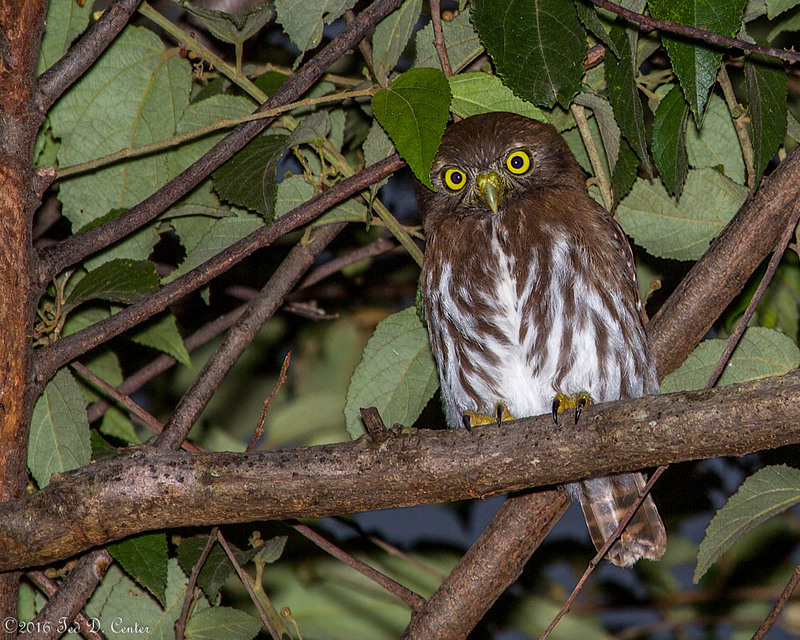 After returning to the hotel just before sunset, we were introduced to one of the hotel’s resident Ferruginous Pygmy-Owls.